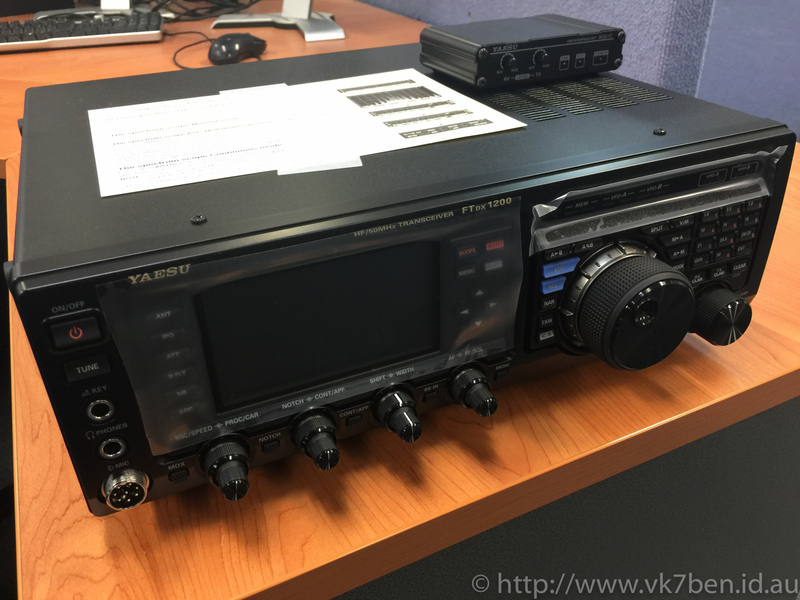 The Yaesu FT-DX1200 is quite an upgrade from the trusty Icom 706-MkIIG, which has now been relegated to VHF/UHF Duties. The joy of a playing with a new rig on Friday night was short lived – the new Yaesu draws 23.8A @ 13.8V peak. My power supply was a fair way short of this at 15A. operating would have to wait until Saturday. In the meantime, I could start getting a PC ready for rig control. Let me just say, you will reach an inevitable point in time when hardware, although suitable for the purpose will not be supported by modern operating systems. I found out that upgrading from Windows 7 to Windows 10 was not supported at 64bit, but was if I would find Windows 10 32bit. The problem here however is that the 32bit download tool will not work under 64bit Windows 7. joy. I also managed to go out to Jaycar in the morning and buy a 40A switch-mode power supply. Some people will cringe, because these type of power supplies are notorious for causing RF interference (QRM). Fortunately I see very little QRM affecting the rigs. After installing Win10, I found that the drivers associated with the rig control interface cause the computer to crash. Dammit. back to Windows 7 I have gone. I think I have done about 5 OS install attempts in the last 24 hours. 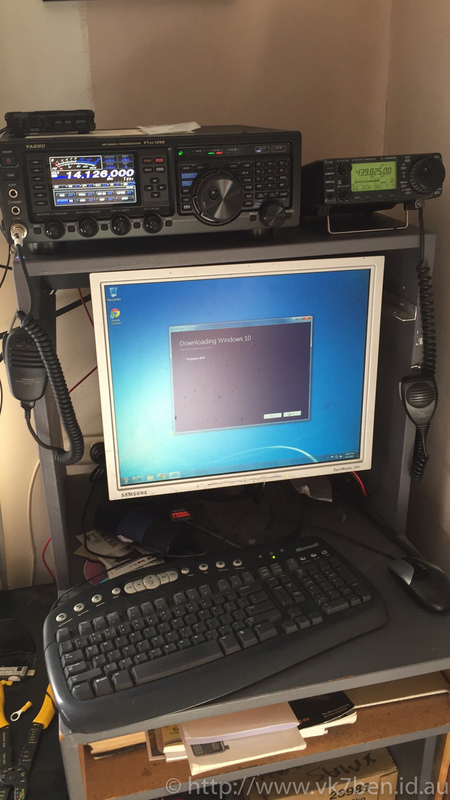 Finally, I am getting around to configuring Ham Radio Deluxe to control the Rig. I am finding the lack of documentation in configuring the DX1200 quite frustrating and as I am writing this I am looking for information on how to sent PTT to the rig, which will probably take me into the evening. After this, import my previous QSLs, set up VKCL for the RD Contest in a couple of weeks and start doing a more thorough configuration of HRD.